Hiring the Right Personal Injury Attorney - Owens / Pinzelik, P.C. Posted on April 8, 2014 December 30, 2016 by Brook Wood. Filed under: Civil Litigation, Personal Injury. Tagged: attorney, lawyer, oregon, personal injury, Pinzelik. Accidents happen. As nice as it would be to think that the person whose negligent actions caused your injuries would simply offer to compensate you, or that their insurance company would offer a fair settlement, the reality is that almost never happens. More often than not, people fail to take responsibility for their actions, and insurance companies end up profiting by paying victims less because they know that most are unaware of their legal rights. 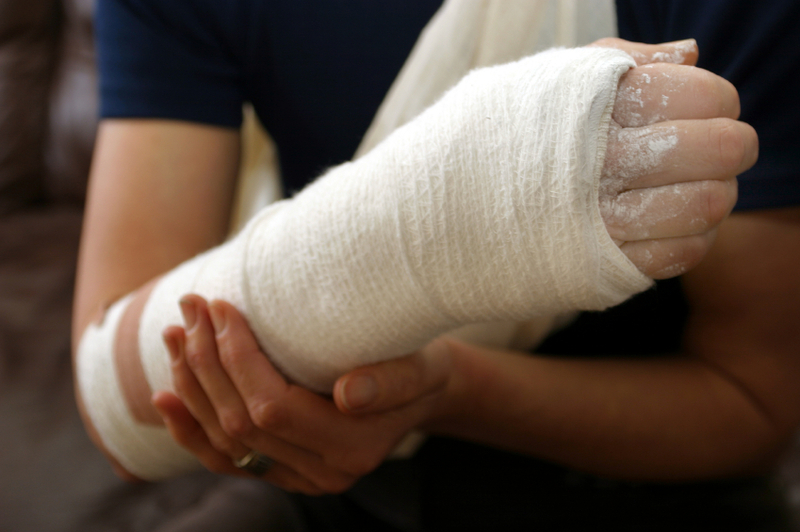 The key to avoiding falling victim to the schemes of insurance companies is to find an experienced personal injury lawyer who can help advise you of your options and take further legal action if necessary. After all, do-it-yourself lawyering can only take you so far. The following steps will guide you through the process of choosing a personal injury lawyer that will best meet your legal needs. At Owens / Pinzelik, P.C., we are confident our personal injury attorneys can help you tick all the right boxes in your search. Before seeking the help of a lawyer, it is important to know what you are looking for first. Ask yourself: what do you hope to get out of this at the end? Before meeting with any attorney, it is important to know and understand why you are pursuing a lawyer, and what exactly you want to accomplish with their help. How were you injured? Car accident? On the job? The answer to these questions will shape which attorneys you choose to get to know before making your final decision. The question of cost is an important consideration. Consider whether you would be able to negotiate and recover more than half of what a lawyer would be able to get for you. If you hire an attorney, you will likely end up paying a portion of your recovery to the lawyer. But, chances are, if you have a serious injury or significant financial loss, an attorney will be able to recover a lot more than an unrepresented victim. Family, friends, neighbors, and colleagues are your greatest resources when it comes to finding a lawyer. Ask other attorneys for recommendations. Lawyers know other lawyers, and although a family member’s business attorney may not be able to help you with your personal injury case, he or she will probably be able to refer you to an attorney who can. Your employer or a union you belong to might offer a referral service that even covers your initial consultation or provides some discount on the fees you will pay. Don’t want to share your legal woes with your inner circle? Hunt on your own and make the most of other resources. A simple Google search will yield a number of online resources, such as FindLaw, Martindale-Hubbell, and Avvo. Research. Research. Research. Now that you’ve compiled a short list, your next step is to research the potential attorneys, check their backgrounds and evaluate their track records and qualifications as they pertain to your case. Check the websites of the attorneys you are considering and learn about their areas of expertise. Use the Internet to search for blogs written by the attorney that can give you a sense of their personality. Remember, size matters. As you conduct your research, keep in mind the types of firms the potential attorneys are practicing in. Do they work at a large firm? Small firm? Solo practice? In the case of personal injury, a small firm such as ours can handle your case in a more personal and direct manner. As you near the point of setting up an initial consultation, do your final due diligence. Some lawyers offer free consultations, others do not. Although personal injury lawyers rarely charge for initial consultations with potential clients, if they do, you will be obligated to pay that fee even if you do not hire them. At Owens / Pinzelik, P.C., we never charge an initial consultation fee to discuss your personal injury matter. – Have you handled similar personal injury cases before? How many? What were the results? – Will you be the only attorney who works on the case? If not, who else will work on it? – How will I be kept informed about the progress of my case and how often will you communicate with me about my case? – Will I be able to speak directly with you if I need you? How quickly do you respond to phone calls and e-mails? – How long will it take for this case to be resolved? – If I don’t want to accept a settlement offer and you want to settle, will you still go to trial? If I want to accept an offer, but you think we can win more at trial, what will you do? We think you’ll be more than happy with the answers our personal injury attorneys give you for these and any other questions you might have. If you’ve met with other attorneys that weren’t the right fit for you, contact Owens / Pinzelik, P.C. today to schedule your free personal injury consultation. You’ve done your research, met with potential attorneys, and by this time, should generally have an idea of which lawyer will best meet your legal needs. After you make your decision, the next step will be to sign the engagement letter, the contract between you and your lawyer. Be sure to read carefully, as this document will describe the nature of your legal cause, the terms and conditions of your working relationship with your attorney, and any other matters you agreed to. If you are still unsure about anything, ask your questions before signing the letter. Happy personal injury lawyer hunting. If you choose to go elsewhere, we understand and respect your decision. We’d appreciate the chance to earn your business and help you reach the right result with your personal injury matter. Owens / Pinzelik, P.C. is an Oregon law firm with attorneys licensed to practice in the states of Oregon and Washington. This article is for informational purposes only and not to be relied upon as legal advice.